BEIRUT, LEBANON (1:20 A.M.) – The Houthi forces launched a big counter-attack inside the Hodeideh Governorate, targeting the areas recently captured by the UAE and Saudi-backed troops in western Yemen. In one of the biggest operations this year, the Houthi forces launched massive attack on the supply line of the UAE and Saudi-backed troops in the Hodeideh Governorate. Not only were they able to cutoff the supply line, but the Houthis forces were also able to fully eliminate an entire regiment of UAE-backed fighters in the process. According to the official media wing of the Houthi forces, their fighters stormed the Abu Haroun Regiment’s positions near the Hays District, resulting in over 75 dead and wounded. The Houthi forces were also able to capture at least ten fighters from the Abu Haroun Regiment, while destroying four vehicles. Dozens of Saudi-led mercenaries have been killed and injured in Yemen’s western coast, where aggression powers have been stepping up their offensive in the region. A source in the Yemeni defense ministry said dozens of mercenaries have been killed and injured in the last hours. 15 vehicles belonging to Saudi-led aggression were destroyed, the source said, adding that clashes between the Yemeni forces and Saudi-led forces are taking place on several fronts. Yemen has been since March 25, 2015 under aggression by the Saudi-led coalition, which also includes UAE, Bahrain, Egypt, Morocco, Jordan, Sudan and Kuwait, in a bid to restore power to fugitive former president Abdrabbuh Mansour Hadi. Tens of thousands of Yemenis have been injured and martyred in Saudi-led strikes, with the vast majority of them are civilians. 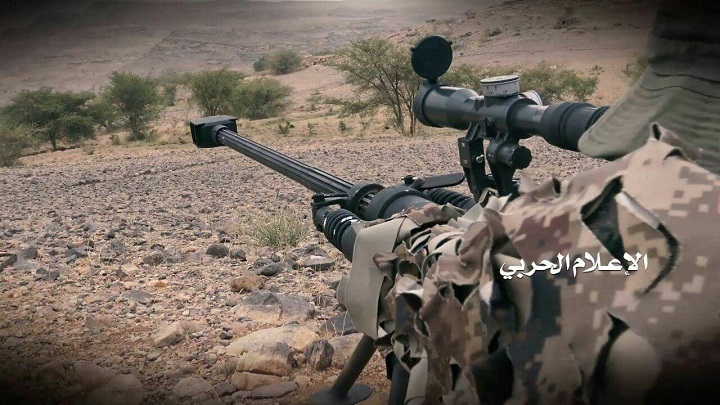 However, the allied forces of the Yemeni Army and popular committees established by Ansarullah revolutionaries have been heroically confronting the aggression with all means, inflicting huge losses upon Saudi-led forces.